The growth chart we purchased is just adorable and turned out perfect! We couldn't be happier with our purchase and as our grand daughter grows I am sure we will certainly shop at your store you again and again. D.S. I normally do not do this, but I just received my order today and would like to express how impressed I am with your company. The product itself was fantastic ( I ordered the It's A Girl keepsake and a growth chart). As I did not expect it to arrive for another week or so, I was delighted with how quickly it was shipped! I will definitely refer your company to friends and acquaintance alike and look forward to shopping with you in the future. With much appreciation, K.B. This is the 3rd time I've ordered from this website and I am extremely satisfied. I love the material the growth chart is made out of, it seems pretty durable! 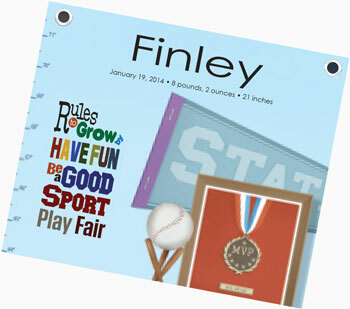 I also love the ability to personalize it and add my son's name and birth information! E.A. I just received my birthday keepsake and growth chart, and I just wanted to say how awesome they are and how well made they are. I love them! They are even better in person than online, great quality too! I will recommend these to everyone I can. Thanks so much! E. L.